The Greater Swiss Mountain Dog is a member of the Working Group. They are a Draft and Drover breed. They are a striking, tri-colored, large, powerful, & confident dog of sturdy appearance. They are a heavy-boned and well-muscled dog which, in spite of its size and weight, is agile enough to perform the all-purpose farm duties of the mountainous regions of its origin. Today (aka the Swissy) is primarily a family dog, though the working dog aptitude remains strong. Swissys love their people and thrive on being around all family members. They can be great with children but they are not the right breed for every type of family. 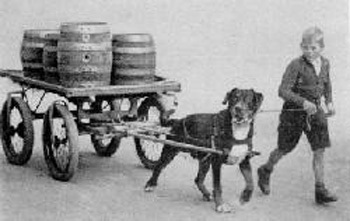 As with any breed, when understanding the Swissy you must look at it's original historical function. In Swiss Alps during the 1st century BC, the Northern Roman Legion soldiers brought with them large, mastiff type dogs. After their invasions these dogs were later left behind in various regions of the area. 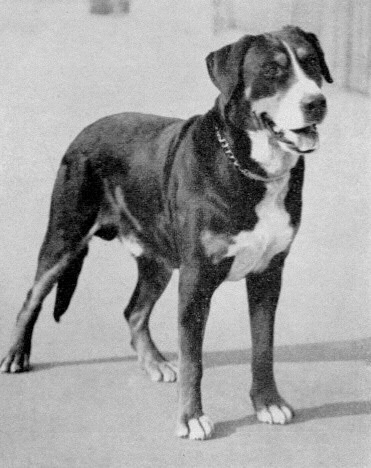 These dogs evolved into the four Swiss Sennenhund Breeds: the Appenzeller, the Entelbucher, the Bernese and the largest of the four, the Grosser Schweizer Sennenhund, now known as the Greater Swiss Mountain Dog. For over 2000 years these dogs have lived in the Alps,working side by side with their farmers as both helpers and companions.The breed was also used as a guard type dog and also worked as a herder of livestock when needed. 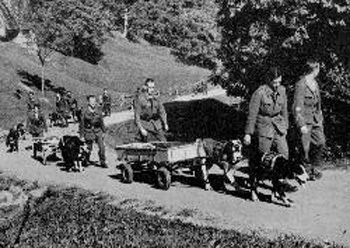 Swissies were also called upon from the Swiss Army during wartime as they were strong and able workers ready to transport supplies and armaments to inaccesible mountain regions. 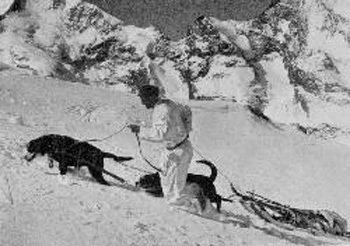 In more modern times the Swissy has been part of the search and rescue efforts of the Swiss Army. Both type and character is very important for this Working Draft Breed. The GSMD should be a bold leader with confidence. He should be neither be nervous or aggressive." He is alert, vigilant, calm, intelligent and caring." He thrives on a close relationship with other creatures, especially his family. 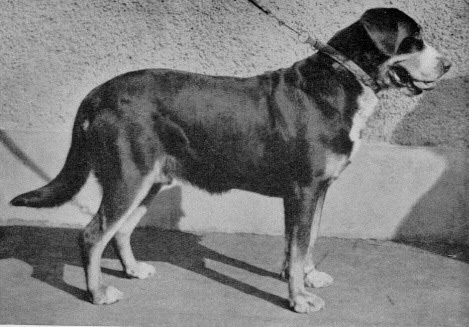 Above all the Swissy is a Draft Dog and should be of the substance and soundness necessary to perform these functions.Since this breed has the heritage of a strong, bold, guard type worker they are not the breed for every type of owner.They require the correct type of training, socialization,plenty of excercise,time, guidance and a sense of "working" with their owners. The Swissy was originally bred to pull heavy loads and today can still pull upwards of 3000 pounds! (This means that they can and will pull you down in the blink of an eye) Proper leash training is VERY important from an early age as is proper socializing.